I work as a birth doula and licensed mental health therapist and love checking out apps and making recommendations to clients. I’m also a mother of a teenager. I have found this app to be very useful for many clients! The daily trainings are great and I have also enjoyed using the app for myself and for practice (for clients). The app is user-friendly and has a lot of useful information and tools. I love the GentleBirth App! Especially the hypnosis and meditation parts. Just make your choice, sit back and get your hypnosis or meditation going. Very useful. Aw a midwife I was searching for an app that could help me get out of my head as a provider and rather enjoy the pregnancy but learn how to relax. 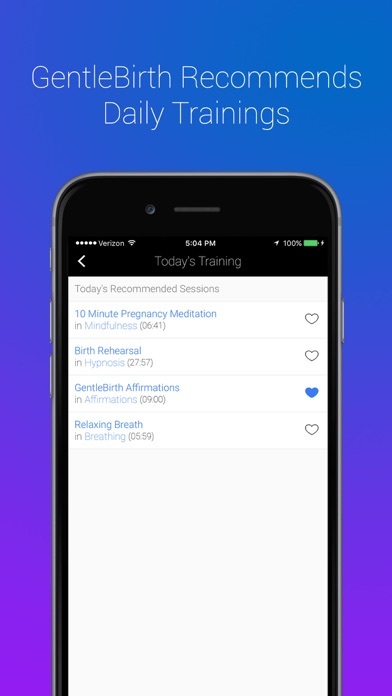 This app helped me ground myself in pregnancy and labor. No one knew I was pushing bc this app was on and I surrendered. It truly is a gift. This App is wonderful and a must for every pregnant mom. The tracks are well written and her voice is so soothing. I use it will all my doula couples and they are so relaxed and feel more prepared for birth. I highly highly recommend this App! I didn’t like the app and was charged 12.99 automatically ! 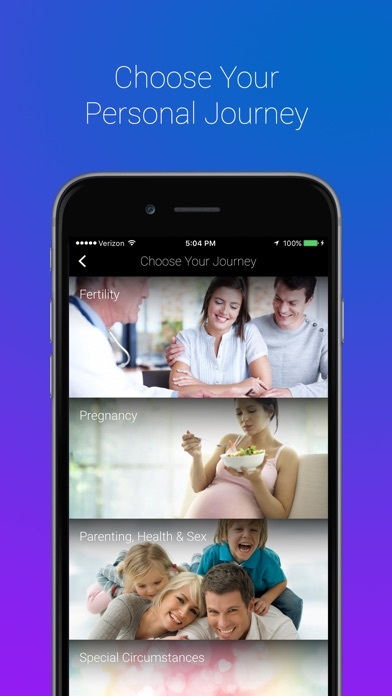 This app is a state of the art program for families to achieve a positive birth outcome. I highly recommend it. This app is well worth the $. During pregnancy (and early motherhood) we so often spend time and money preparing/providing for the baby, sometimes we forget how vital it is to care for ourselves as well. 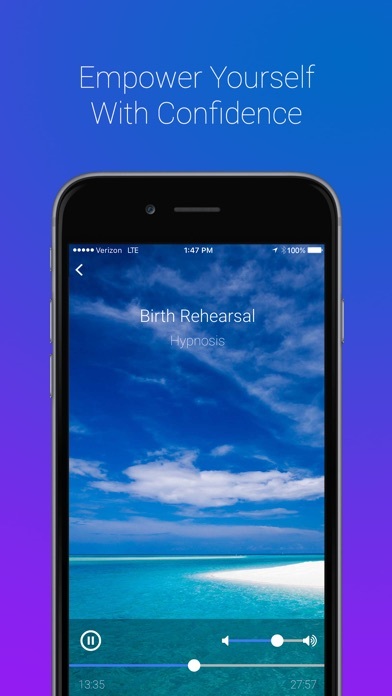 This app helps me make time every day to stop, focus, relax, reboot, and be mindful - and my baby benefits from having a mom that is truly present. So grateful!! I used the app a month or so before giving birth and during labor. It definitely helped pass the time in the hospital- I listened to it for the first couple of hours until I was able to get into the tub and things progressed. I REALLY wanted a medication-free birth and got it!! Once the contractions got more intense, I couldn’t focus on the app anymore (or anything else really). All I could think about was surviving past the halfway point (the peak) of the contraction. So the app was really helpful when I still had the clarity of mind to think about my options lol. It distracted me from thoughts about not making it and getting an epidural. If I had been left there with my thoughts for a couple more hours, I honestly don’t know if I would’ve made it! I discovered GentleBirth after having three kiddos. I’m so disappointed I missed out on the great content available through the app while pregnant. Lucky for me, the tracks pertain to parenting, relationships, and overall well-being. The sleep sanctuary track is a favorite for myself and my husband. I recommend the app and GB workshops to everyone I know! 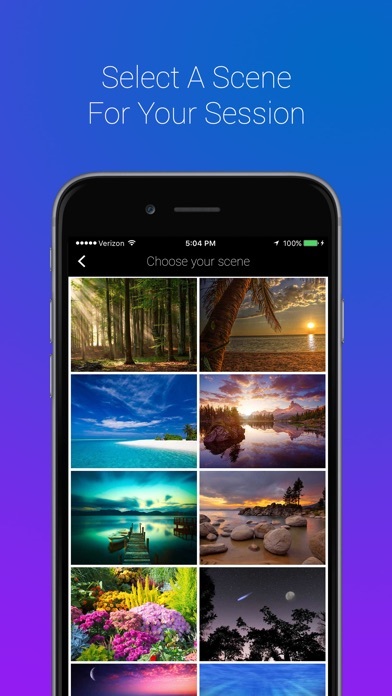 This app is free, but every feature within it requires an expensive subscription to unlock. The meditations within it are uninspired and you can find free you tube videos with better pregnancy affirmations, guided meditations and birth education.